A Blog post is not just a mere reflection of your thoughts and knowledge. It’s more than just words borne out of an agenda, heartful or not, and it will get lost in the sea of online words if things are not done the right way. In a sense, blogging only crafting passages and hitting a publish button. But what good is that if there is no audience to read it. 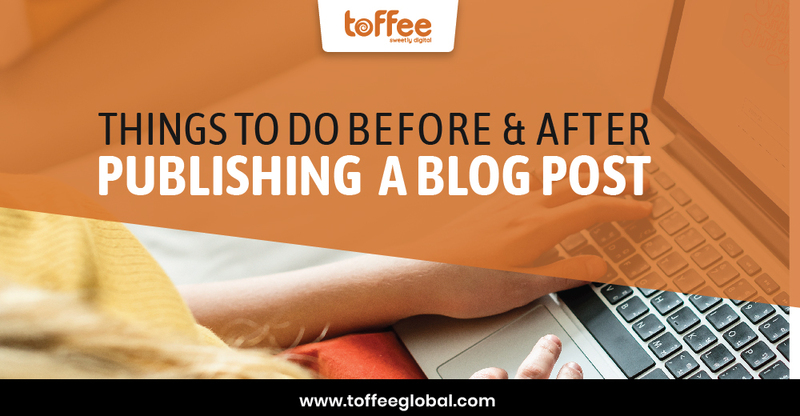 Even a brilliant text needs a ton of tasks done long before and immediately after publishing a blog post. The work begins even before a blogger starts writing. Not doing all of this will only result in a blog full of posts and a meager audience, that is mostly friends and acquaintance. Blogging doesn’t only need you to write great content but it also demands a good marketing of that content. If these prerequisites are not met then the bloggers will never get the kind of successful bloggers are looking for without a miracle. This definitely doesn’t mean “Overthink”. The reason you need to rethink about your topic is that, for you, that topic is dear or might be dear but does it serve your target audience well? Blogging is not about what you want to write but about what your audience wants to read, and you have to find a balance somewhere closer to what the audience wants. So, think again before you start. Almost everyone skims over the content. So, you need to add subheadings wherever you want people to focus more so that people don’t skim over it. Use paragraph and headlines. A text without structure is hard to read. And make sure that your post is grammatically sound. -Add Keywords more often without overstuffing. For your post to get more traction, you need to do a few things right. You need to invest about a 30% time in writing and the rest in getting people to read it. Send your contacts and leads a teaser email to jumpstart traffic. Get your friends, acquaintances and influencers to spread the word. Turn your post into a Facebook ad. Do a better study of your analytics. Keep refreshing your post with new and relevant data. Check your post’s internal links and keep changing them with time if necessary.